Welcome! 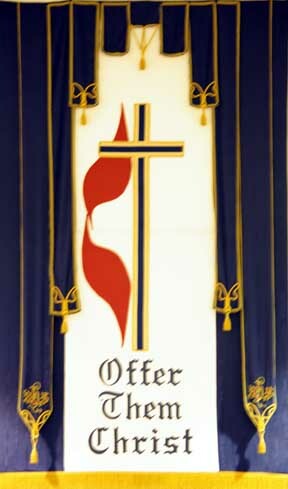 De Witt First United Methodist Church is pleased and honored to have you visit. Please introduce yourself to the friendly faces before and after the morning service. Our members can answer your questions, help you locate the information you need, and introduce you to other members who will welcome you into the church family. 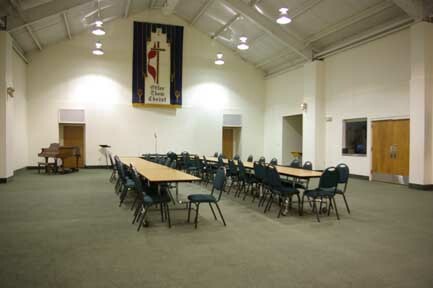 In addition to the worship service listed, there is an array of Sunday School classes. Please do sign the attendance pads with a contact number or email or postal address so we can welcome you individually and personally. 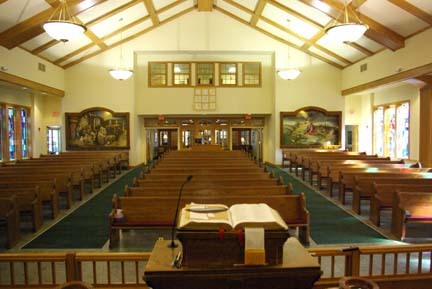 Our Church Sanctuary is fully accessible to the physically handicapped. 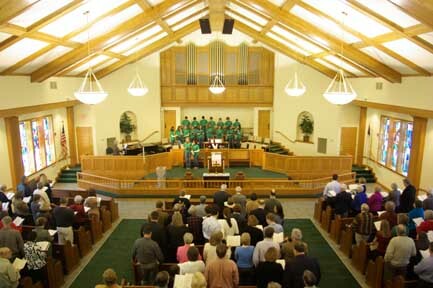 Hearing aids are available for the enhancement of sound in the Sanctuary. Children of all ages are welcome in worship. De Witt First United Methodist Church considers children equal members of the family of faith and of the church family, and believe that experiencing worship is an essential part of faith formation for growing children. In worship children are drawn closer to God; they can gain strength from being with other believers, and learn to focus on God through prayer, music and scripture. We encourage children to participate in worship by serving as choir members and acolytes. Acolytes carry in the flame and light the candles at the beginning of each worship service and extinguish the candles and carry out the flame at the end of each service, symbolizing the presence of God in worship. The Nursery is available for the morning worship service for young children. It is staffed by a paid nursery worker and is assisted by parent volunteers when necessary. Also, our beautiful Parlor is designed to double as a "crying room" where parents can hear and see the service while their children play comfortably without disturbing others. First United Methodist Church has weekly sermons available for our homebound and hospitalized members. Contact the church office or Duane Long for more information.